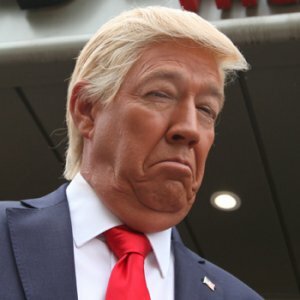 Steel tariffs were kept very much out of the question when Metalogic caught up with ‘Donald Trump’ last month as he hosted the Kids Out Question of Sport event with over 500 guests from Midlands based companies at Birmingham’s International Convention Centre for a night that put the fun into fundraising. Mike Osman as Donald Trump impersonation. In this star studded evening ‘Donald Trump’ – who shares an uncanny resemblance to impressionist Mike Osman – appeared alongside quiz master and football legend Kevin Keegan! Metalogic were once again delighted to lend their support to Kids Out – the Fun and Happiness charity which gives disadvantaged children positive experiences to support them in becoming future members of our society and workforce. The money raised at this event will be used as vital funds to continue to supply Fun Days and Toy Boxes to children in the Midlands area. 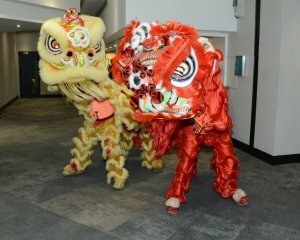 Birmingham China Town Lions were also acknowledged for their help with the volunteers who were essential in ensuring the night was a complete triumph. In addition to the quiz guests also took part in a raffle and two auctions, with some fantastic items up for grabs including a signed George Best photo montage, an evening for two at Nuthurst Grange, an Olympic shirt signed by Amy Williams. Available in the main auction was a unique David Bowie painting by Hertfordshire artist Rob Bishop, as well as a holiday to a luxury Ski Chalet in the French Alps. 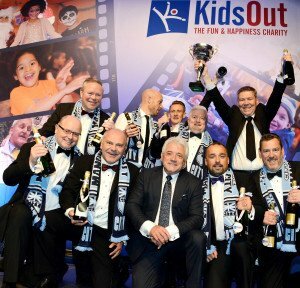 Now in its 14th year, the KidsOut Question of Sport Gala Dinner is one of the most established and prestigious events in the Midlands corporate calendar and with over £51,000 raised in one evening these essential funds will help provide help, support and memorable days out making a real difference to young people’s lives.